like 2019 to look for you. Write it down…. setting that intent or a general direction – even just for right now… will aid in finding your next steps and guide you to your next right step for you. So many of my mentor clients get stuck on “not getting it right” or “not seeing how they could possible get to their big goals from where they are today…” the main thing is to get started. What do you want? How can you move closer to that.. even if it’s baby steps, your next right move will appear just in the nick of time. and being more present in our online and offline communities. As always, I LOVE to hear what you guys are up to and I can’t wait to hear about your plans and progress through-out the year. So feel free to jump onto our Natalie Crowe Designs Facebook Page or visit our Contact Us page for more ways to get in touch. 2019 is going to be another amazing opportunity to move you in the direction you want to be. I plan on making 2019 my best year yet! 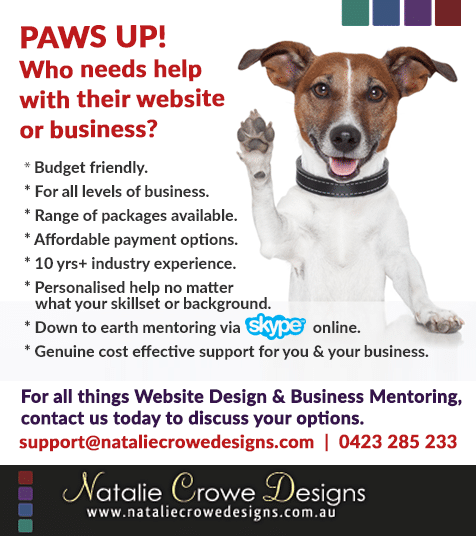 If you’re in need of any assistance with your websites or perhaps you’re wanting some additional business mentoring or support feel free to contact us Natalie Crowe Designs via our facebook page or website to book in a Skype Session in regards to your goals and plans for your business. BACK TO SCHOOL – MEANS YAY!!!! We’re back to work full time! 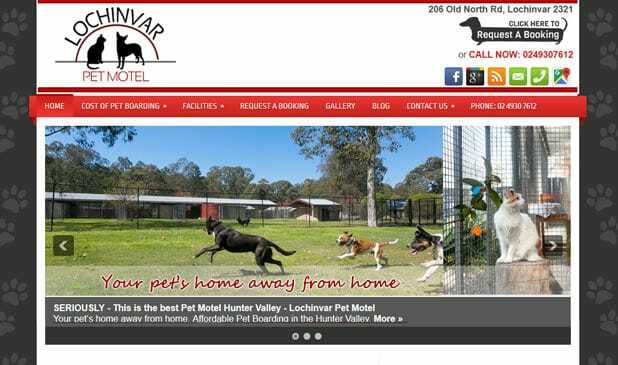 With the end of January coming to a close, we’ve been tying off the loose ends of what has been an exceptionally busy January developing website for clients in the Hunter Valley, Australia. Although much humor came from conversations through-out social media – with many of our clients and members of the Facebook groups we’re a part of – calling for January to be dubbed “Free Trial Month” for 2019. It seems there are quite a few of our fellow work at home parents; particularly here in Australia with the 6 weeks Christmas Holidays, feeling the pinch of change of routine, others just haven’t quite managed to get started or build moment. Natalie Crowe Designs on the other hand – has been quite the opposite! With NSW School Holidays finishing up tomorrow; 30th of January, and our not so little bundle of joy heading back to school, we step into an another amazing opportunity to help as many clients as possible with their websites and strengthen the support and presence our clients have, and Natalie Crowe Designs is returning to fulltime work in the office. So with that in mind we’re letting everyone know we’re taking new clients in as of 1st of February! 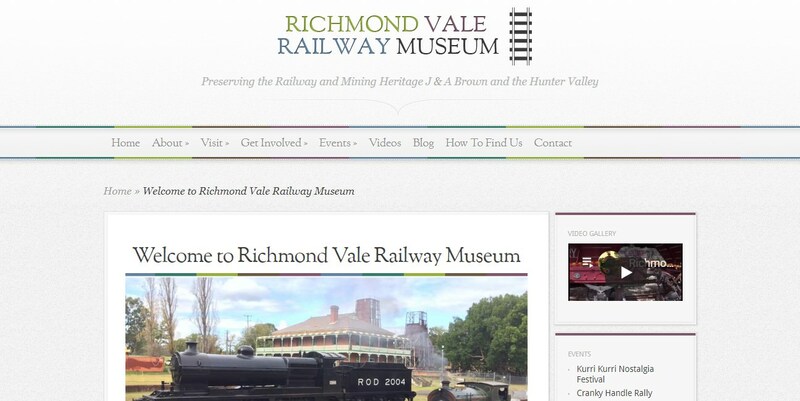 Perhaps your website needs a little TLC? Website Migrations Complete & we’re back in business. We hope you’re all well, we’ve been in the office working our way through a wealth of website migrations since our announcement in March earlier this year about our now previous service provider announcing the end of life of their services. Read more about that here. August 30th we celebrated as we not only finished up all of those migrations and have just completed the migration of our own website over to WordPress as well. There’s still a few niggles with our own site but we’re working on that inbetween building up a few new ventures. For those of you who don’t know. Last year we started up a Natalie Crowe Designs Business Support Group Facebook Group in conjunction with our Natalie Crowe Designs Facebook page. 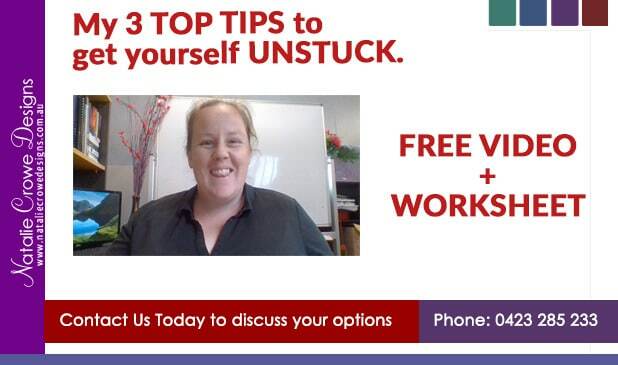 This FREE support group has been created by Natalie Crowe Designs to enable members to ask questions and get support in regards to their businesses. 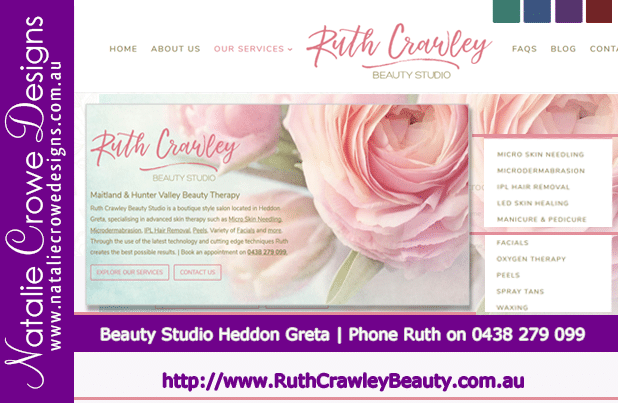 Natalie Crowe Designs is a website design and business mentoring business based in the Hunter Valley, New South Wales Australia. We work with businesses all over the world to build strong online presence and grow their businesses. The group is a “Closed” group -which means the group can be found on Facebook however the contents of the group conversations is limited to members only. Members are FREE to join and participate. The aim of the group is to bring together an online community that not only empowers it’s members but acts as a powerful tool and supportive environment. In addition to member contributions we’ll also be offering our own insight, knowledge and resources, motivational content, tips and tricks that will be supportive of those in our community. We look forward to hearing from you and sharing as we grow the group. 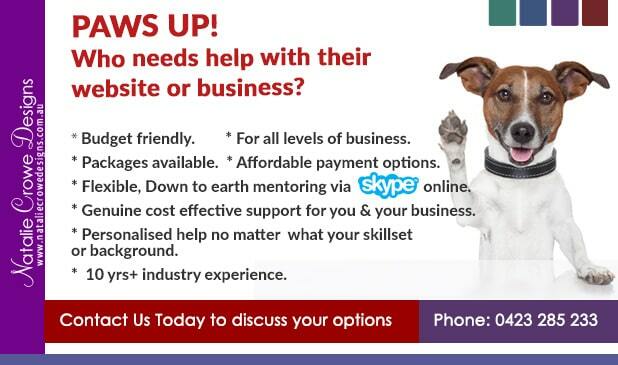 If you know someone who is looking to get a website or needs help with their websites. Please feel free to share this group. 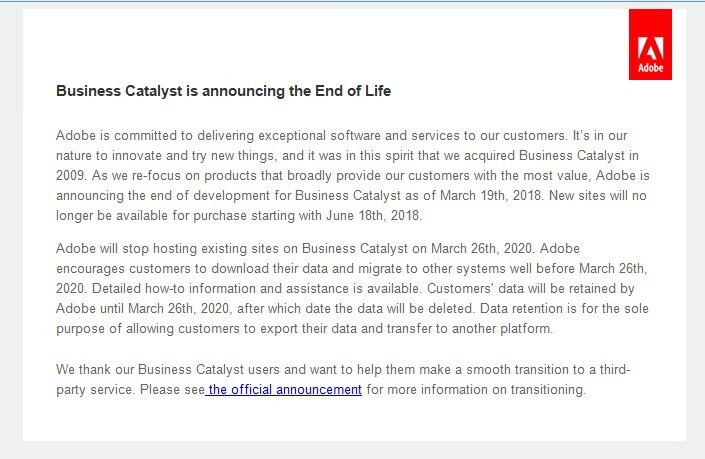 Adobe Business Catalyst discontinued – Now what? Over the last 3-4 years, Natalie Crowe Designs had already moved the majority of our client base over to WordPress or other platforms with the needs for more customised functionality and with our love for WordPress, the development freedom and in general the robust and diverse system, meant that we were able to deliver more for our amazing client base. 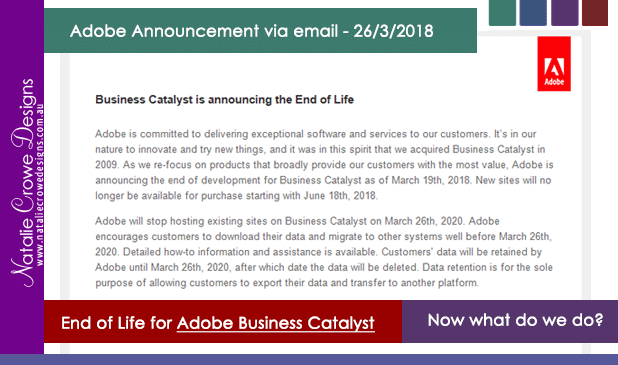 In the early hours of this morning 27/3/2018; Australian Eastern Standard time, Natalie Crowe Designs, like the Hundreds of Thousands of other Business Catalyst users and Business Catalyst partners, received word that Adobe has decided to discontinue Business Catalyst and would be phasing out the solution without offering an real alternative – other then to encourage it’s users find means of migrating to other systems. This news has sent ripples through the BC community and caused much outrage at Adobe abandoning their partners, their clients and the many businesses that are solely Business Catalyst focused. Whilst we too feel this process is unjust, as there had been other alternative options for Adobe, “We” as a community have been graced with a “generous” two year window between March 26th 2018 – March 26th 2020 before they will delete all site data related to their systems including any remaining websites / systems who haven’t migrated out of the system. Much like many of the Partners who allocated thousands of dollars to come on board as a Lifetime Partner, who bought into this system as it was practical and meant users had everything they needs within one interface, with the general consensus that partners are feeling as if they have been left high and dry in this circumstance. Moving forward, we will be working closely with our current client database as well as implementing measures to migrate / rebuild our own website and future proof our own business, and then reaching out to the BC community to offer services to migrate business catalyst to wordpress. I will post more on this process later and would encourage everyone to take time to consider their options and work out the best plan of action for their business. 2018 is flying by! 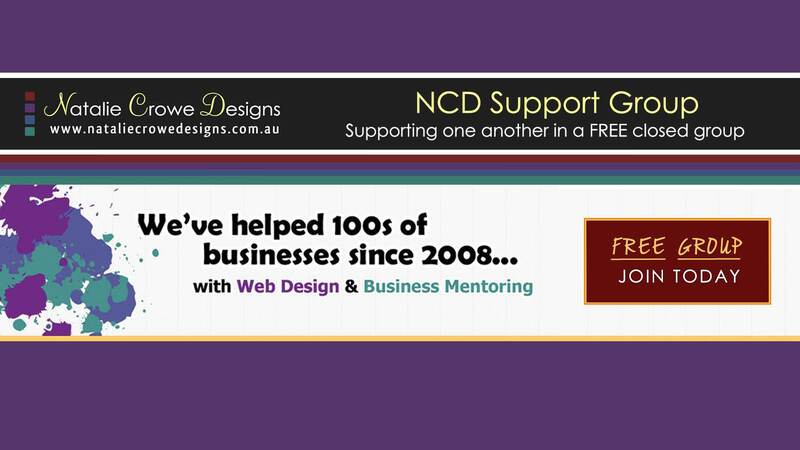 We’ve made some massive changes to our business of late in terms of the website packages we’re now offering and we’ve just implemented a new blogging strategy to make our primary website blog – “NCD Corkboard” more enjoyable for readers as well as still offering a heap of information and resources to continue to support business owners. Explore more about this below. March Already?! Let’s Change things up a bit! I can’t believe it’s March already, I know I’ve probably said this a few times in previous posts but I feel like time has flown at a rapid rate.. There are so many things I want to birth forth in 2018 through this amazing little web designer and mentoring business I’ve built over the last 10 years..
and in general be of service. 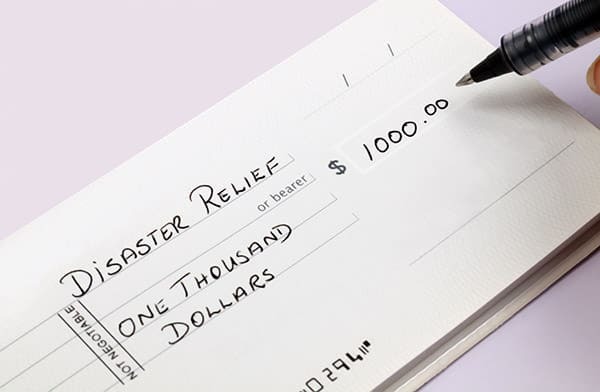 To fund the lifestyle and renovation budget for my family and for my personal life. To growth my knowledge and experience as a business owner. Whilst working IN my business for my website design and mentoring client, this time spent working ON my business is equally as valuable. Giving me that clarity and insight to move forward in my business. It’s almost as if I’ve spent most of the past 3 months just getting into the flow of business again after new year, and finding our feet for 2018. So? 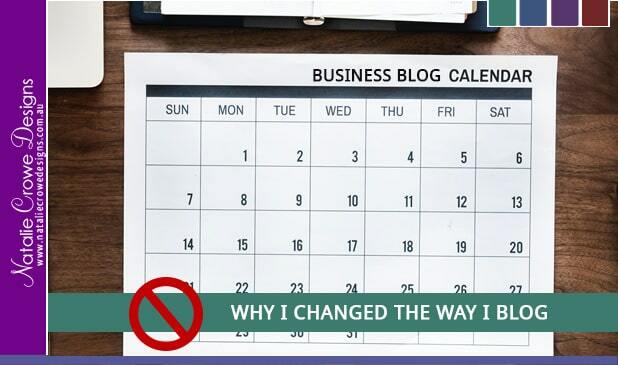 Why I am changing the way I share content on my Web Design Business Blog? However not all of this information is going to be ideal for every user and it’s not always going to be super helpful to have a heap of blog posts that are around solving website problems, or specifically just on WordPress or Search Engine Optimisation etc as the first thing you see when you read my blog. This goes for all clients, but particularly for new clients – or clients who aren’t quite at that point where this type of content is relevant for them. It goes without saying, the search engines love the volume of information I share, nevertheless, I’m NOT writing for the search engines… I am writing for YOU… My beautiful business following. NEVER FEAR!! A SOLUTION IS HERE….! Instead, as of the time of this blog post, I’ve created a new section of our website which will help provide all of this knowledge and resources I’ve wanted to share with all of you in a way that is not going to clog up the main Natalie Crowe Designs Business Blog. This will result in more enjoyable viewing and give users more freedom to explore our website and enjoy our main blog sharing. So for the remainder of 2018, I’ll be posting at the end of each month a summary of the month that was, the insights I’ve learned and more… This will come to you via the NCD-Corkbard also known as my regular blog page. Under the FAQs tab however, you’ll find a second blog, which will contain articles on how to do various tasks, Tips and tricks and more. I’ll answer commonly asked questions and share insight on functionality, as well as on topics like Search Engine Optimisation, Content writing, Managing your business and marketing your business as well as technical tutorials and any other resources I create that could help others. This will eventually create a library of information to help you and other business owners make the most of their resources and grow and support their businesses. If you’ve got any topics or questions you’d like asked feel free to ask them via our contact us page.